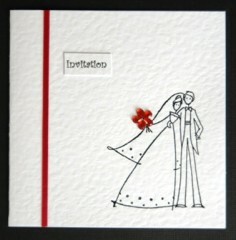 Handmade wedding stationery benefits your wedding event in a number of ways. 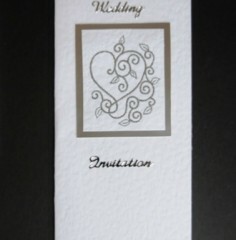 Our handmade wedding invitations help ensure your guests feel valued, and are often then kept and framed as a memento of your wedding day. 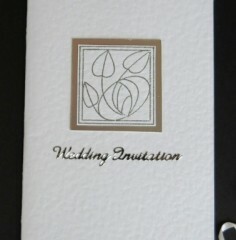 Handmade wedding stationery at the table also adds a sense of class to your day, and are customizable to your likes and dislikes. 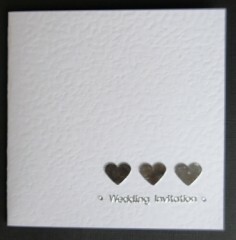 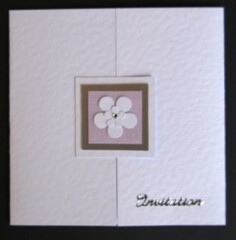 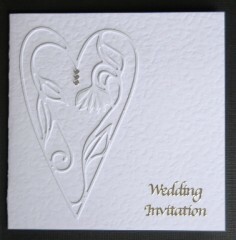 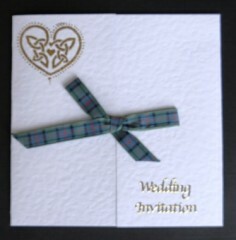 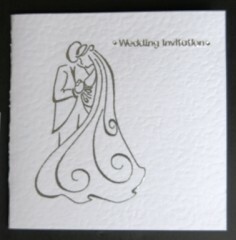 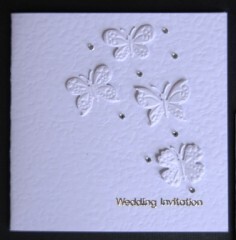 At Handmade Cards Direct I can make all your wedding stationery. 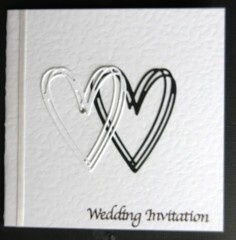 I can provide a complete package foryou – invitations, orders of service, save-the-day cards, reply cards, place cards and favour tags. 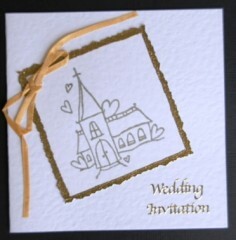 I will tailor the design to your choice with regard to colours and ribbons, so if you find the right design but would prefer it in a different colour – just send me an email. 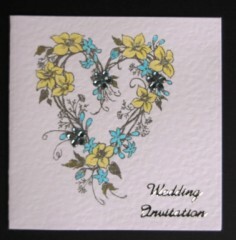 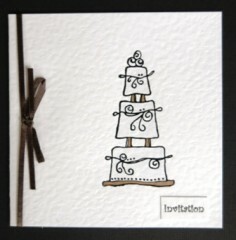 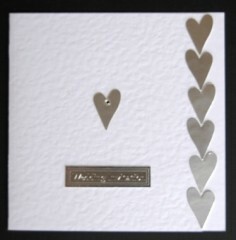 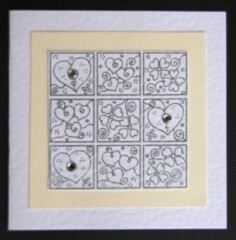 Browse through my wedding designs and find the perfect card to complement your special day.